Professional selling is yet another level, but if a person succeeds to sell their ideas to their friends and family, there is a good chance that they will flourish in selling banking products. 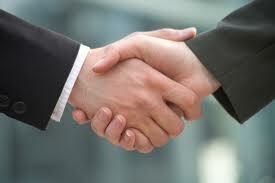 Try and recall your past working experience, the situations when you demonstrated good sales skills. If you don’t find any relevant situation from your work, you can narrate a “sales experience” from your personal life. Let’s have a look at the answers. I excelled in my previous customer assistance job at Boots. Approaching the customers, I tried to give my opinion on their choices of clothes, and I complimented them for their choices, and recommended additional items that matched in color and style the clothes they had already chosen. It worked well, we sold a lot of things each week. But it was just a part time job I had while studying. Now I am looking for a full time job of a teller. I have never worked in the department of sales before. However, I had to use my sales skills when my children were choosing a college. They both wanted to study teaching, what wasn’t really the most perspective field. I tried to sell them my idea of studying business and management – which is a field I had wanted to study myself, but never had. I explained them all the benefits the degree would bring them later in life. Finally, I was able to sell them my idea and one of them applied for the Business and Management College. Screening interview questions, difficult behavioral questions, and a role play in which you have to demonstrate your sales skills. Success or failure in an interview is not a question of luck. People who prepare for their interview in advance do typically walk away with a new job contract. If you want to do more than your competitors do to prepare for the interview, you should check my Bank Teller Interview Guide. In less than three hours you can learn how to answer every interview question for bank teller, how to win your interviewers over, and how to flourish in a role play. I wish you good luck in your interview!